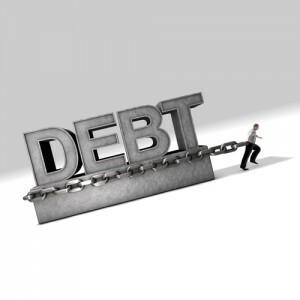 The Stages of Debt Delinquency and How to Avoid Them (Part 1) - Castle Rock Bankruptcy Attorney - Jon B. Clarke, P.C. This outline of the stages of delinquent debt can show how slippery the slope of delinquency can be, as well as what can be done to stop the cycle of delinquency before it’s too late. With the slow, unpredictable nature of the economic recovery, as well as the fact that many people are still having a difficult time getting a job, it’s not uncommon for people to fall behind in paying their bills and face the danger of delinquency. Delinquency, also referred to as debt delinquency, is the state of being in arrears of paying a debt. The longer that a borrower is delinquent in paying this debt, the greater the financial repercussions can ultimately be for that borrower. In fact, those who fail to deal with delinquent debt could eventually find themselves facing wage garnishments, foreclosures on their homes and even lawsuits from creditors. The following outline of the stages of delinquent debt can give borrowers an insight as to how slippery the slope of delinquency can be, as well as what they can do to stop the cycle of delinquency before it’s too late. Initial phase of delinquency: The debt is 30 days past due – This means that you have missed one payment on the debt and that creditors will typically call you or send you a letter to inform you of the missed payment. If there is a specific reason that you did not or were not able to pay the monthly payment on the debt (because, for example, you had to pay for an expensive car repair bill), it’s a good idea to tell creditors what this reason was, as they may be willing to take late payments off of your account or otherwise work with you. Second phase of delinquency: The debt is 60 days past due – This means that you have missed two consecutive payments on the debt. When this occurs, creditors will typically transfer the account to their own collections department, and representatives from this department will likely be contacting you (via phone, email or snail mail) about the serious consequences you can face if you do not make payment on the debt. While there are laws in place to prevent collections agents from using abusive practices when dealing with you, they can still call you regularly, which can be tedious and stressful for already overwhelmed debtors.